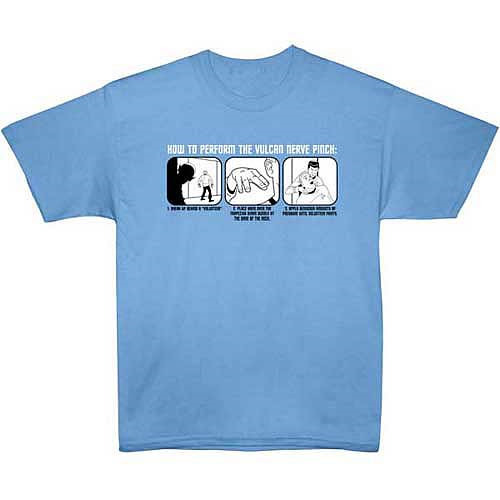 Star Trek Vulcan Nerve Pinch T-Shirt. You don't need to be a Vulcan to master the Vulcan Nerve Pinch! Become a master on your own with this 100% cotton, high quality, pre-shrunk light blue t-shirt. Machine washable. Order yours today!